Ever wondered what we do behind the scenes? 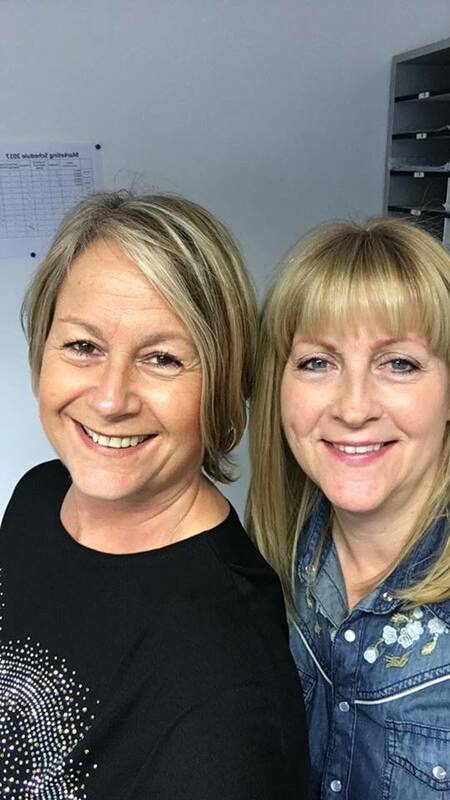 Today’s blog features Deb, our Office Administrator who has worked for the Careclean team since 2009. 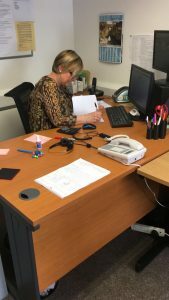 Deb is the friendly voice on the other end of the phone when you call us; however, Deb does far more that just answering the phone – read on to hear about a typical Careclean day for Deb. I arrive in the office just before 9am. After switching on my computer, I check through and reply to my emails. I also call any customers that have left a message. Around 10am, after I have dealt with any urgent enquiries, I usually make a coffee… very important! I then sort out the customer invoices for the upcoming jobs we have in the week. Next it’s time to input any completed reviews onto our website… always lovely to read a good review! Julie (Julie and her husband Kevin own Careclean) usually comes into the office at some point in the morning. We go through anything we need to discuss business related… and usually manage to squeeze in some non-work related chatting too! I don’t often take a huge lunch break… but I do enjoy occasionally popping round the corner to see Hayley at the mobile cafe… mainly to check out what cakes she has on offer!! In the afternoon, Kevin arrives back at some point from quoting, and Nick, Phil, and Vinny from cleaning. They give me the paperwork from each job they’ve done that day, and we have a chat about what they’ve been upto! Finally before I leave the office, I call the customers that we are visiting the following day to confirm. I love my job – I work in a busy office with lots of varied daily duties, very nice customers, and I genuinely work for/with lovely people! Thanks Deb for all your hard work. Keep an eye on our blog for our next ‘a day in the life of’ coming soon!